WeVideo today announced that SkoleTube, Denmark’s leading online media platform for education, has extended its contract with WeVideo for an additional five years. 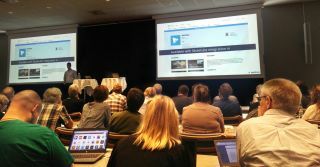 The commitment by SkoleTube comes just eighteen months after WeVideo first appeared on the SkoleTube education portal, and the early extension by SkoleTube reflects the success of Danish students and teachers who are applying the video creation platform to transformative learning experiences. More than 90% of Denmark’s primary school students and teachers--nearly 600,000 SkoleTube users in all--now have access to WeVideo.